So for the last two years I’ve had some serious asthma problems. Now under control. However I’ve started to play a lot of solo gigs private party’s , weddings, cocktail hour… and I’m loving it. I wanted to have somthing smaller than my former band rigs, speakers, monitors, power amps, snakes, racks of gear, mixer etc. 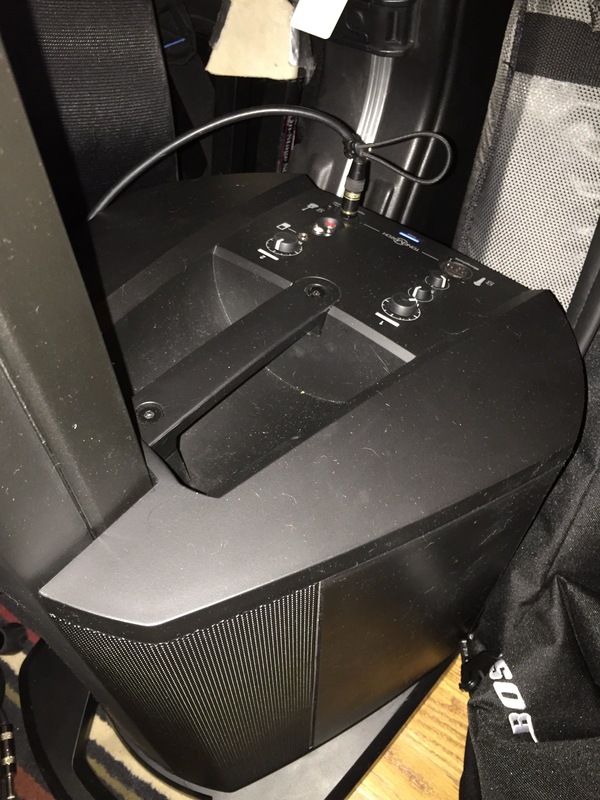 So a few months ago my wife took a risk and purchased the Bose L1 Compact, I thought it was a joke. I could not have been more wrong. 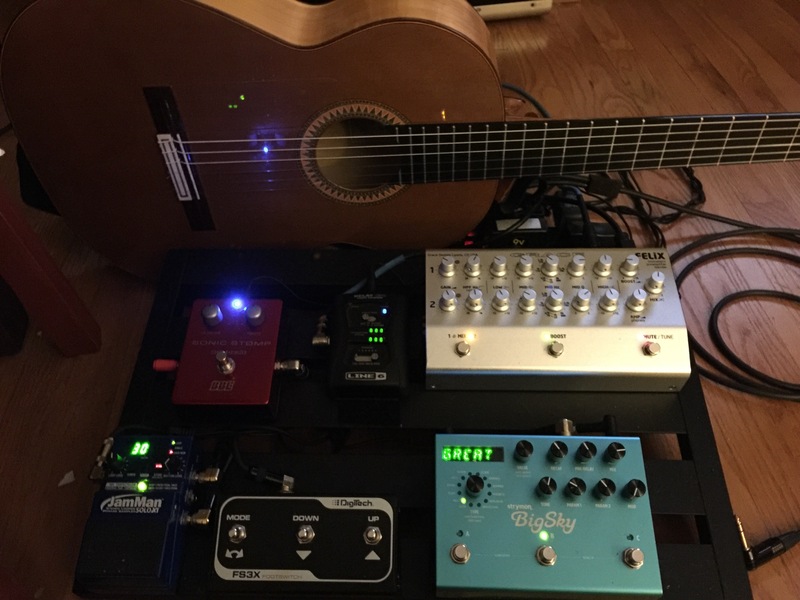 It sounds great I’ve done 10+ gigs with it and have only had complements on how good it sounds. I really like when I’m driving home and I’m no sore or exhausted from setting up or tearing town. 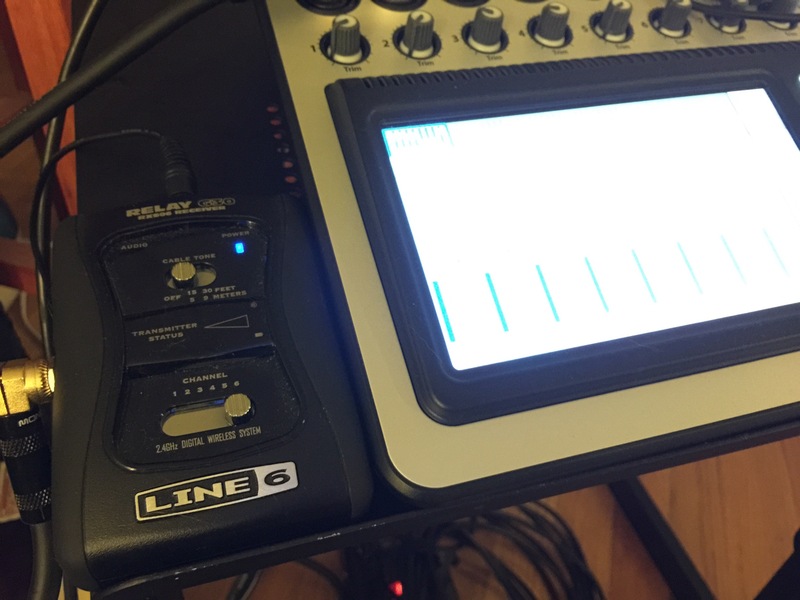 So this setup sounds amazing, sets up in less than 2 min and is so easy on the back. 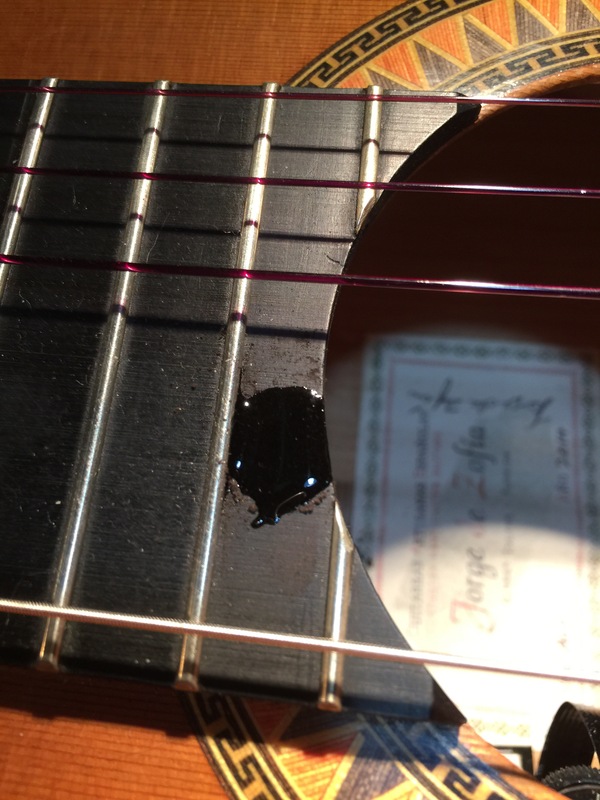 I use the preset for the LR Baggs Element pickup. 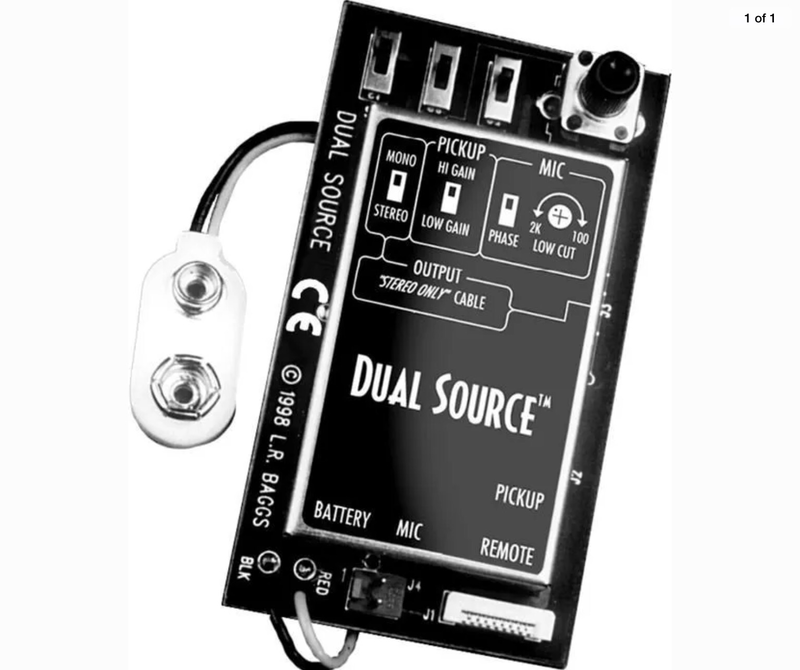 I’m using the LR Baggs Dule Source preamp which is the Element and Mic. 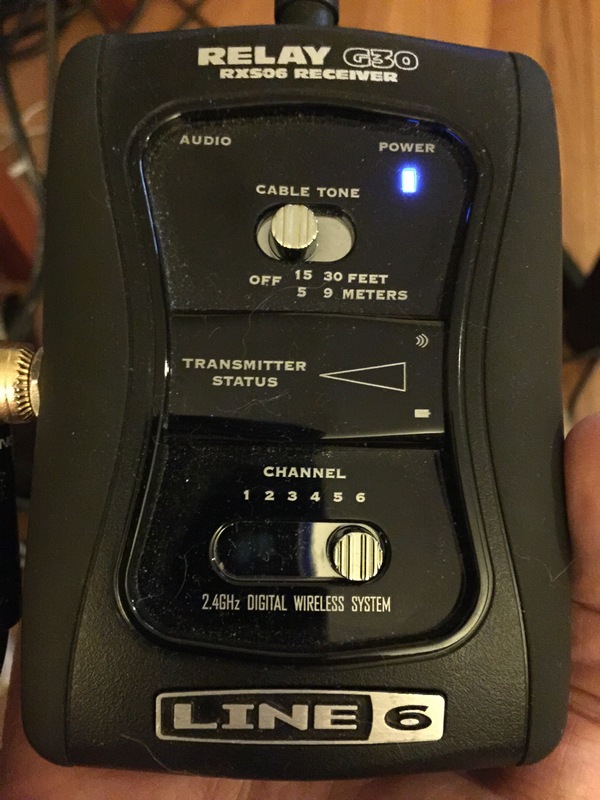 I rool off to about 1K or around there for the mic and below that the pickup dose the work. 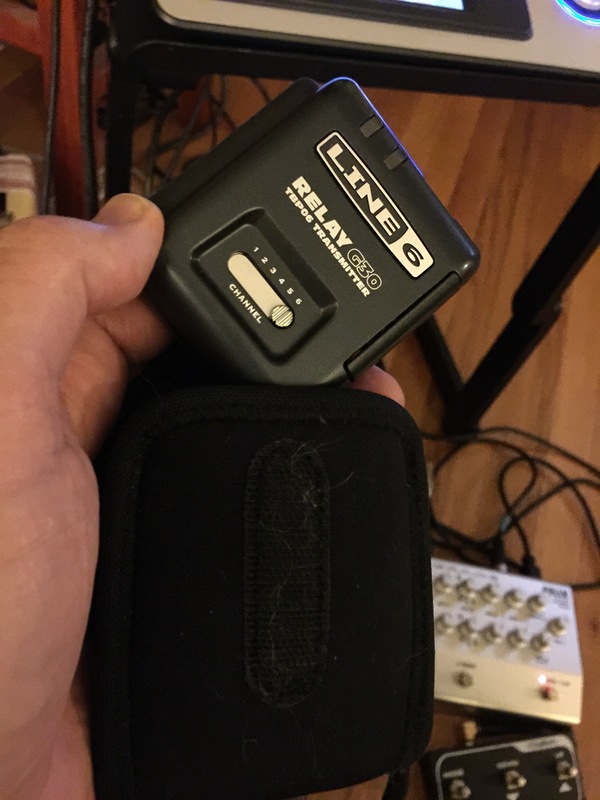 In the Tone Match I have it set pretty much flat and if I do get low end feedback I have the Para EQ set at Level -2-6db, Freq A# 117Hz, With 1.00oct. And then a bit of the Large reverb. 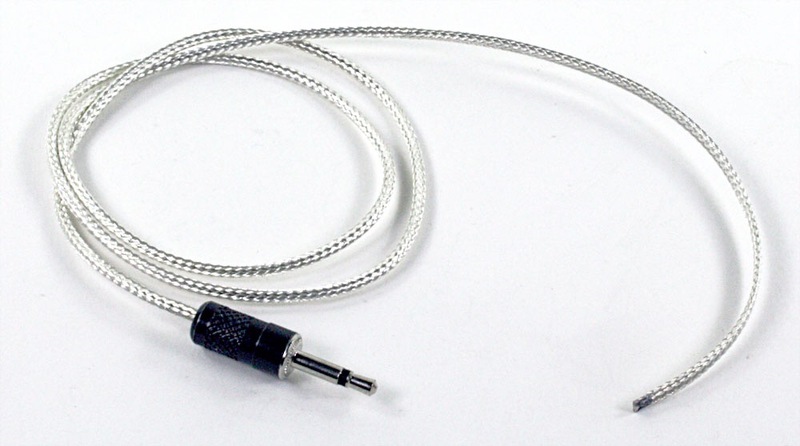 Time 2.20 Bal 50% Mix 30% Bright 50% and then a TR cable from Tone Match to Compact on Flat TR input (not mic chanel). Turn in on and I’m good to go. 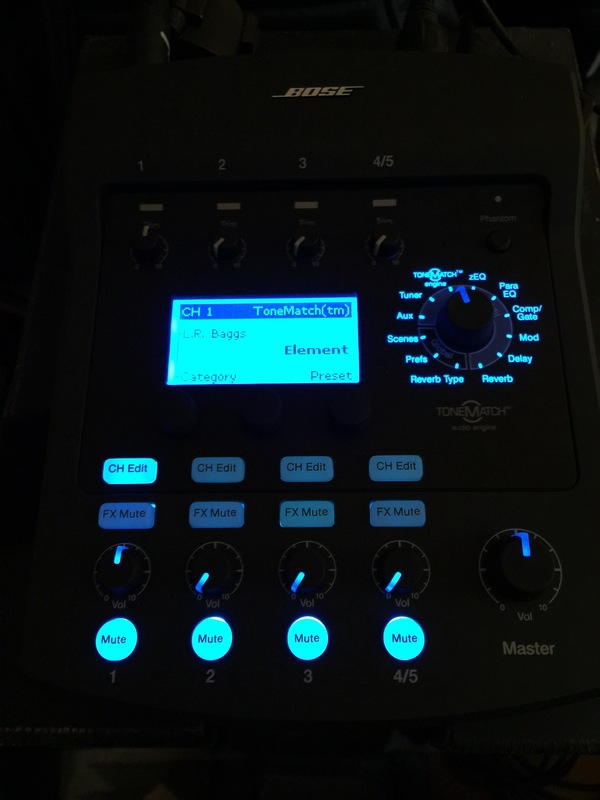 With the ToneMatch mixer you have 4 mic inputs 3 on Tone Match w phantom power and 1 on Bose Compact no phantom power just high and bass Eq. And on compact you have a 1/8 TRS for iPod and play back so in essence you have 6 channels. Saddle Up – What to use Bone, Carbon, GraphTech? 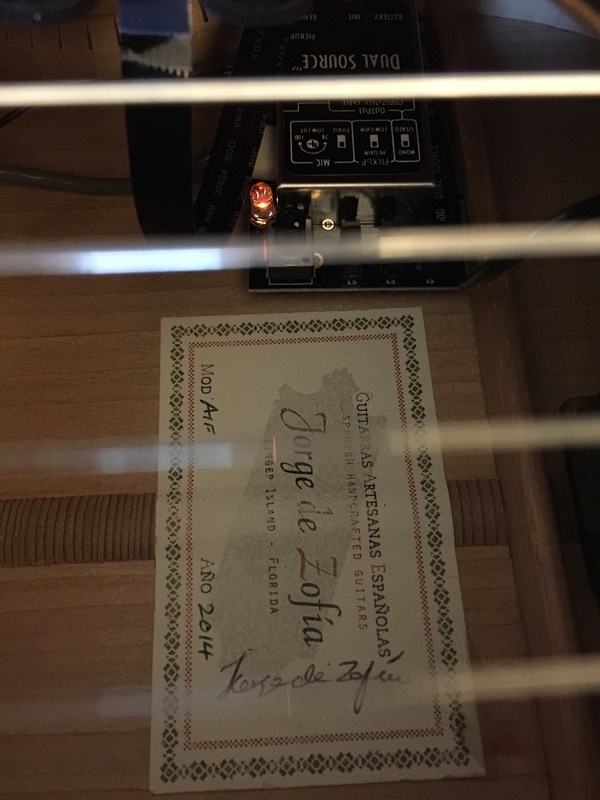 I have been working on achieving string balance from the Low e to the high E on my Zofia blanco Cedartop flamenco guitar. 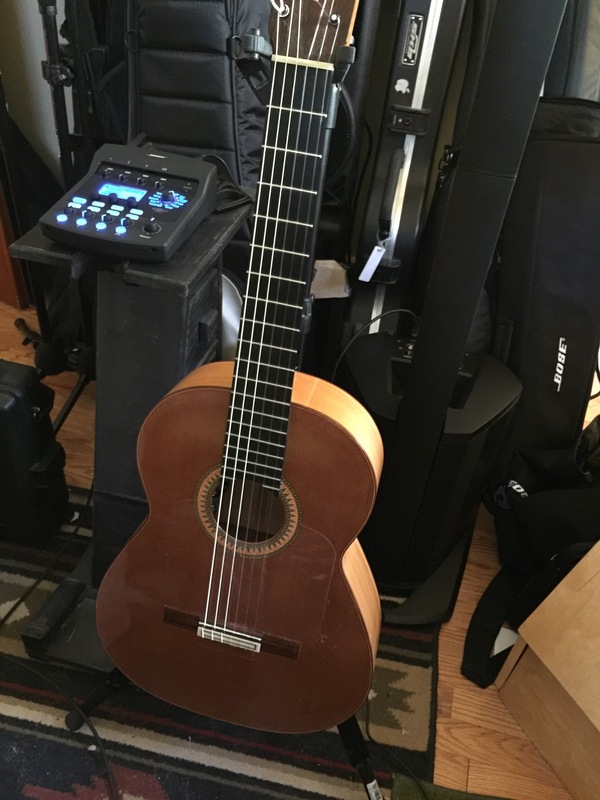 It has the Carlos Amplification Doble pickup in it with the Coaxail Trandsducer (UST) i’ve had a few string balance issues and tried three separate saddles. I have switched to the L.R. 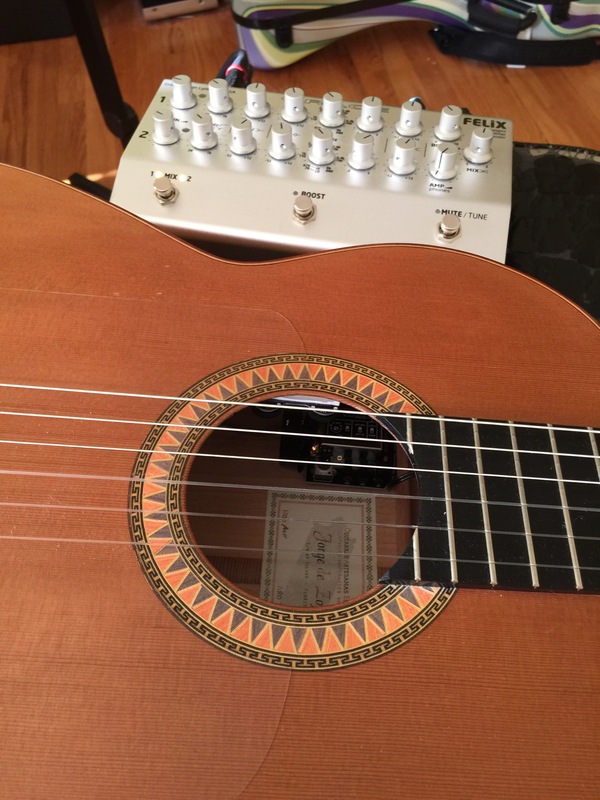 Baggs Dual Source and prefer it very much over the Carlos System. 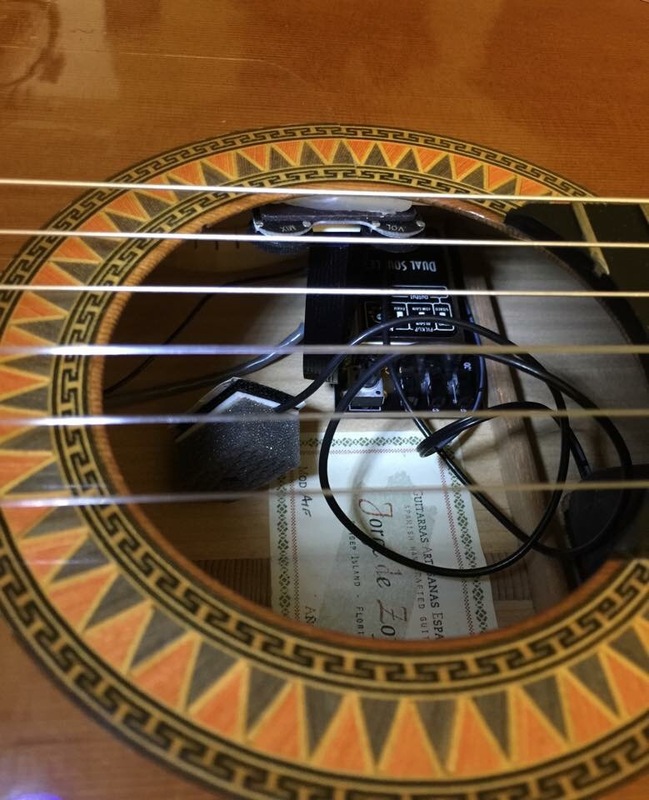 With the LR Baggs system I get better string balance, tone and control of my tone. To my ears with the L.R. 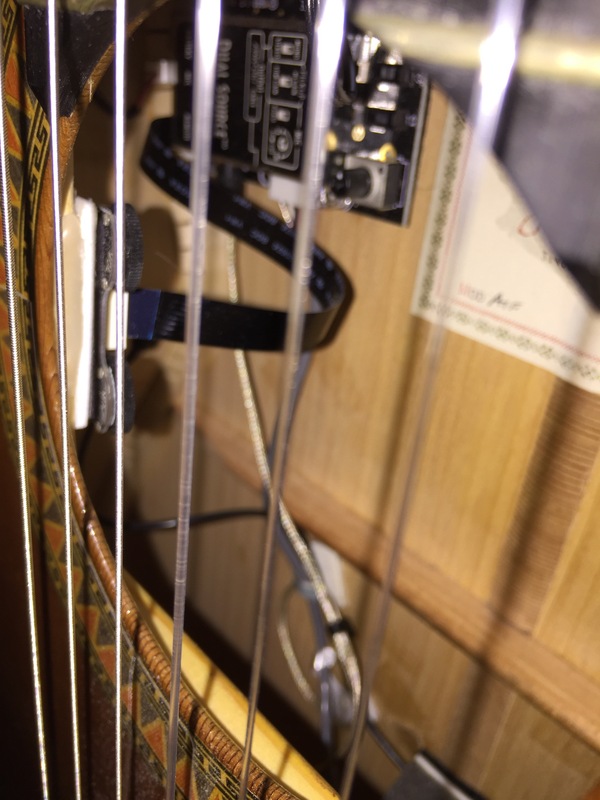 Baggs and a good set up with a bone saddle you will get a great tone and sound from your instrument. 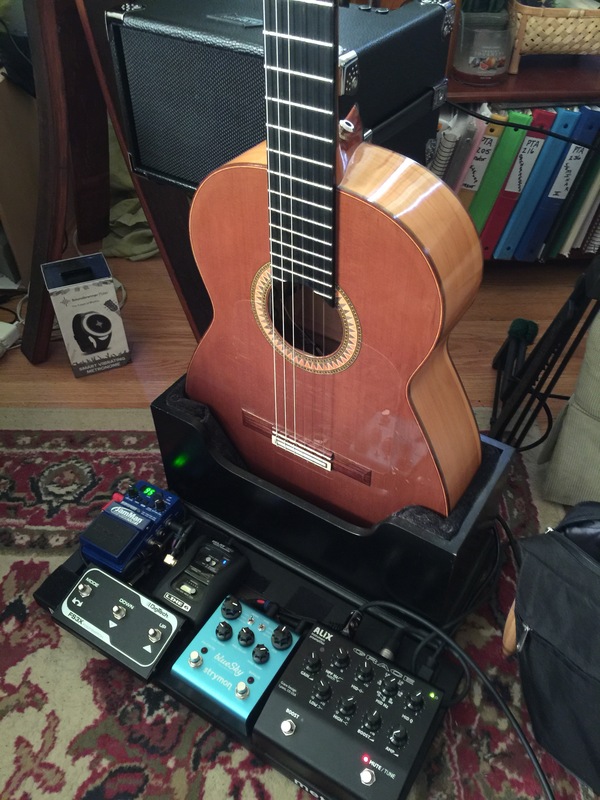 The below picture is what I have come to prefer for the Carlos Amplification VIP Doble System. It’s bone with a 1mm cabin strip attached to the bottom of the bone with StewartMac 20 Super Glue. 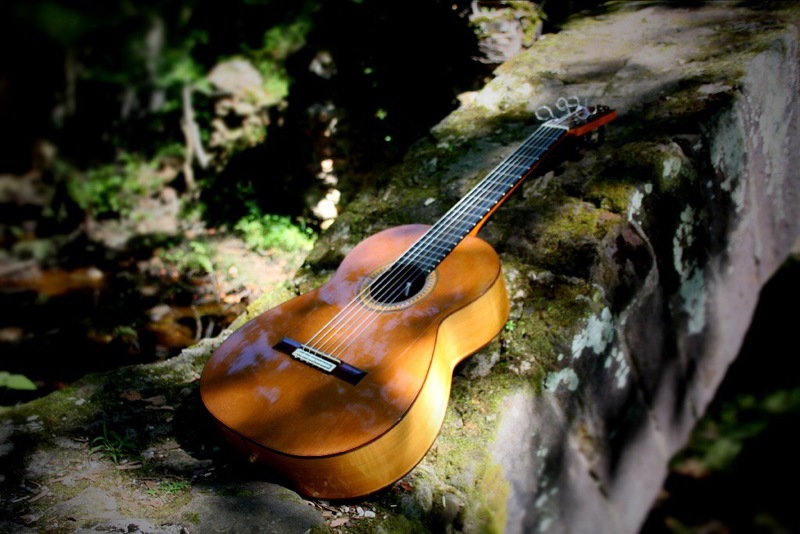 Pursuit of perfection in nylon guitar sound and tone is a passion. 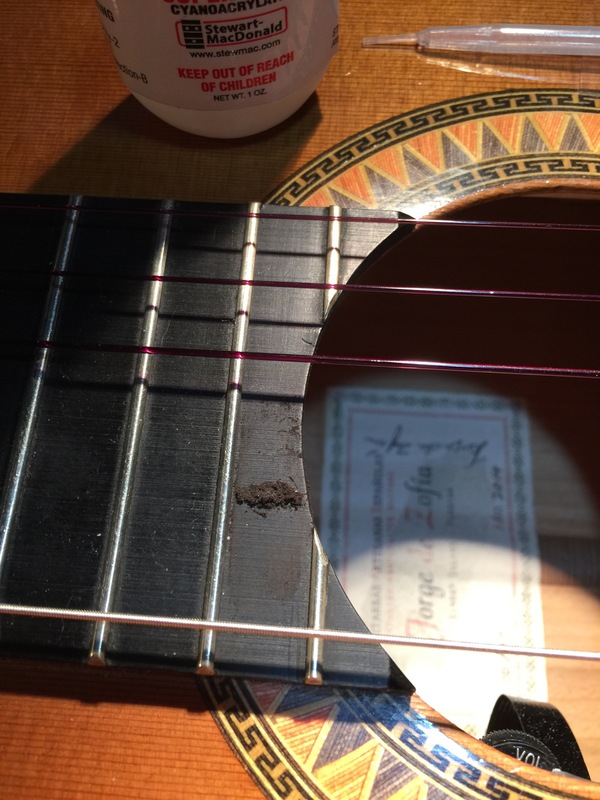 Finished repair on cracked back on a Jorge De Zofia (JDZ) guitar should be good to go. Thanks Bill at “JB Klein “. 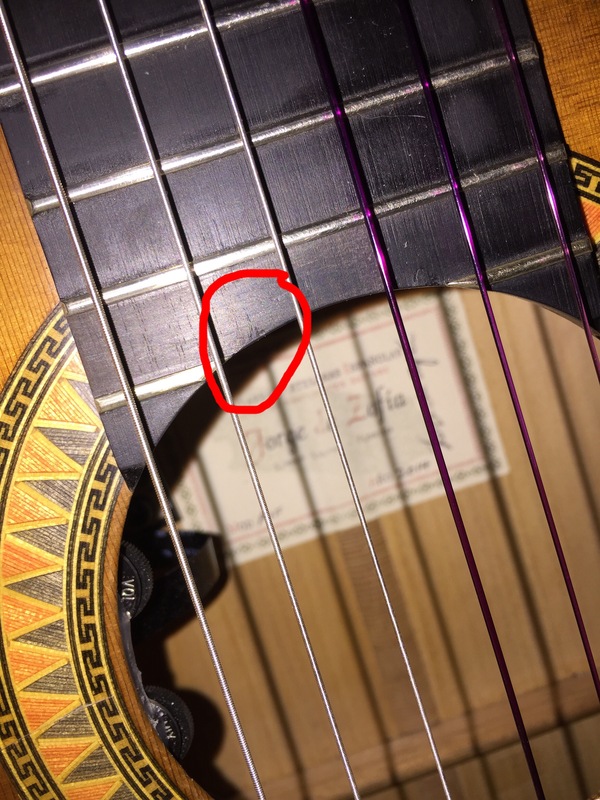 This guitar is had its fair share of bumps traveling from Florida both times they were a few mishaps with the shipping USPS and packaging of the guitar. 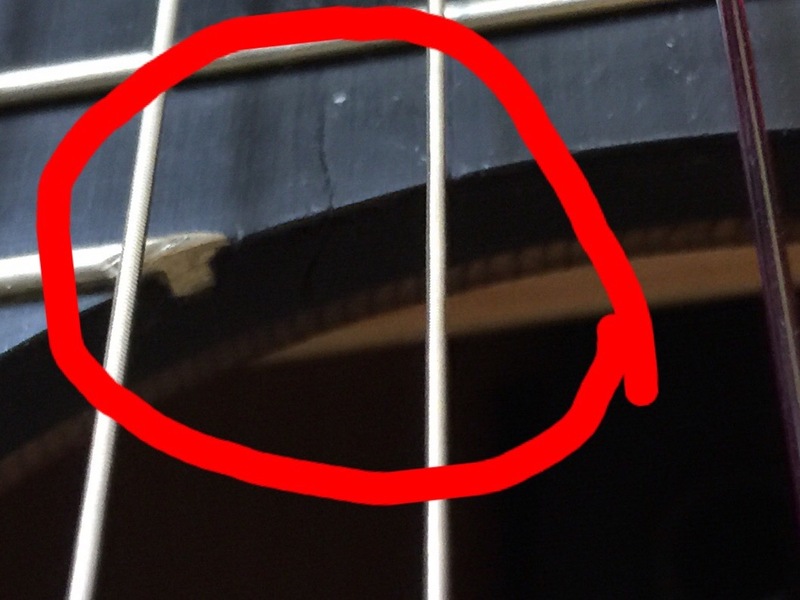 This may have caused the crack to start both Luthiers that looked at the guitar said that it was not due to humidity (I keep my home at 45% and 68-72 in the case I use a Planet Waves Humi Pack in a BAM Case) or problems in the case we’re playing. The guitar is young one a few months old. 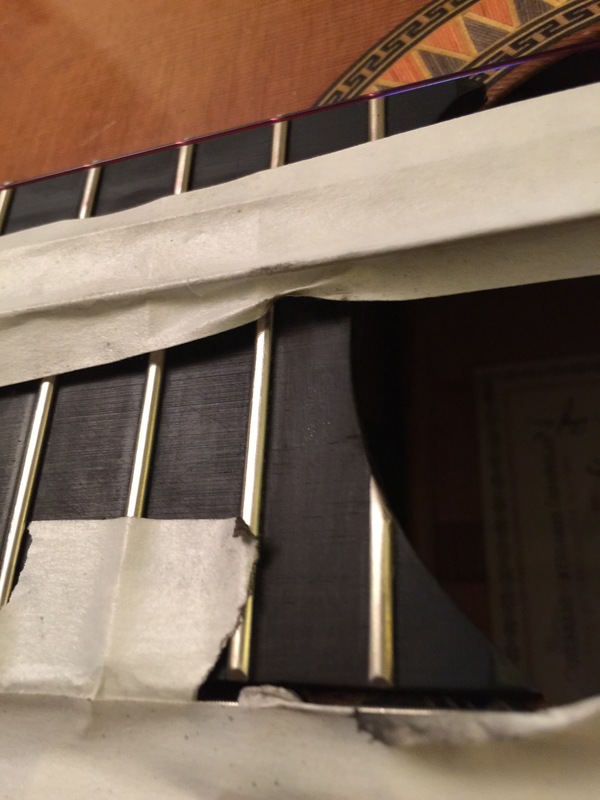 I don’t play hard on my guitars. 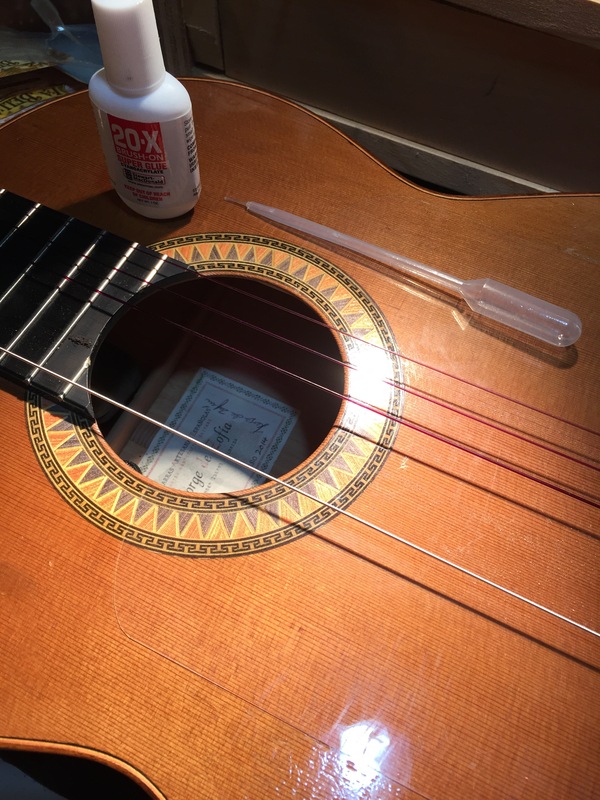 I do tap in the style of Ottmar Liebert and a few other flamenco techniques but none of these should harm the back or start a crack in the back of the guitar. 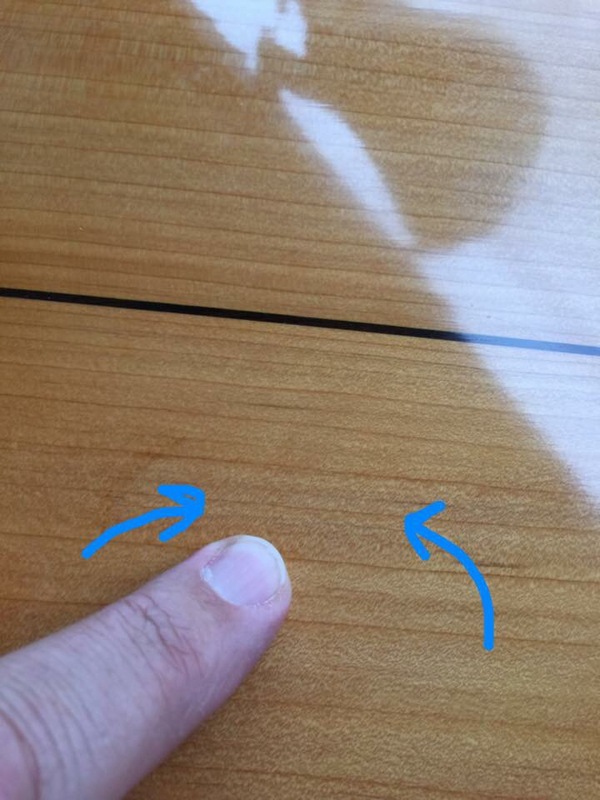 For the repair the wood was pushed and glue was put inside the crack and then leveled and sent to dry.